It's state fair time in New Mexico. 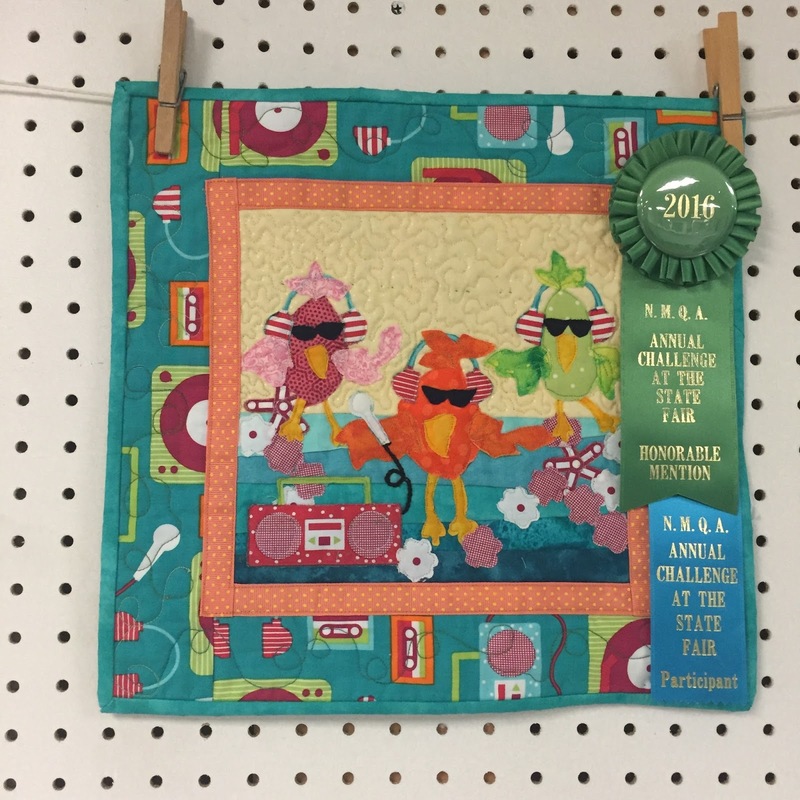 In addition to the roasted corn, Indian Village, carnival rides, pie and farm animals, there are quilts. Part of the Home Arts display is a quilt challenge hosted by a local quilt guild. 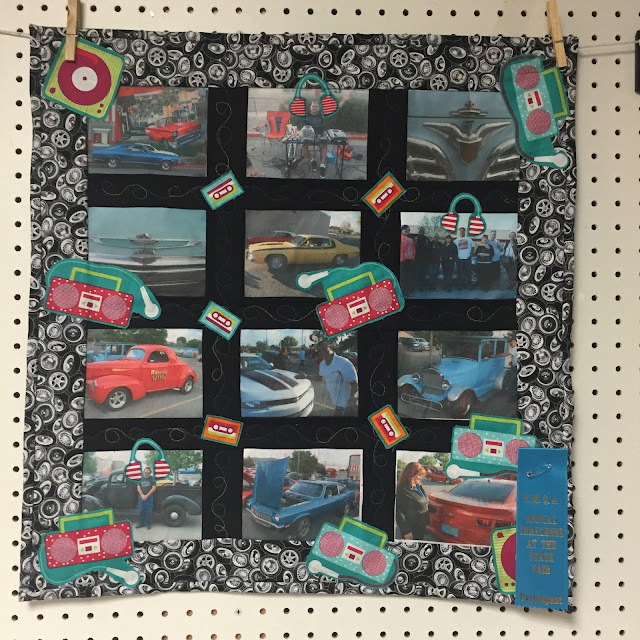 Today, I'd love to share the entries with you. Apologies for not having all the titles and creators. 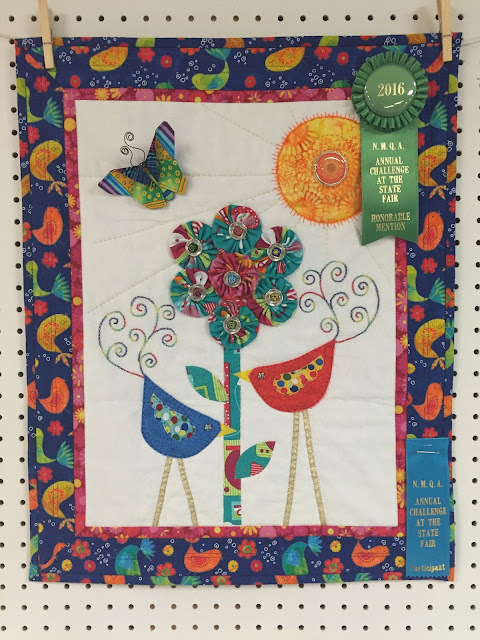 There wasn't any signage, and I was afraid to keep pushing up the corners of quilts with my program brochure in search of labels for fear of being apprehended. Please let me know in the comments if you can help me fill in any of the gaps. 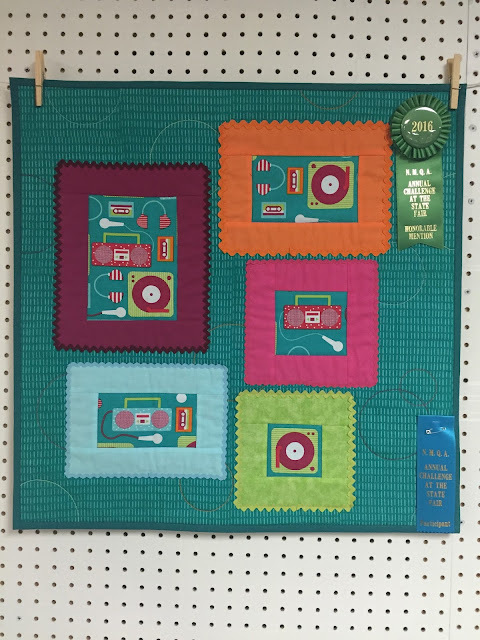 The fabric each challenger was required to use was Beatbox by Ann Kelle in Green. Retro Tree by Norma Jean Koelm took first. 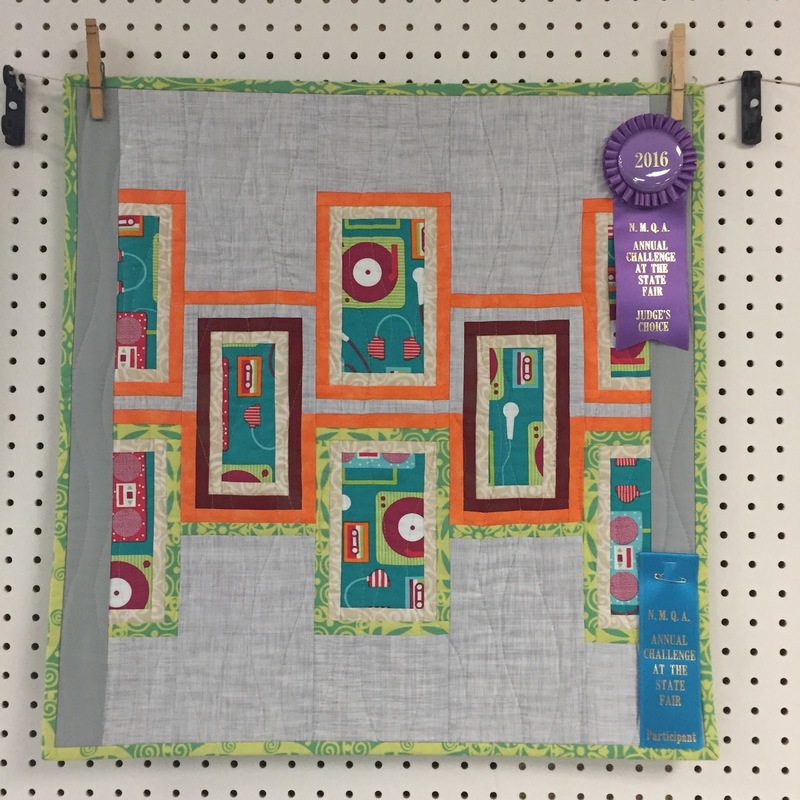 Modern Windows by Jeane Strub took Judge's Choice. I'll be back with more State Fair coverage soon! These are smaller than I thought, after seeing them first on your IG feed. 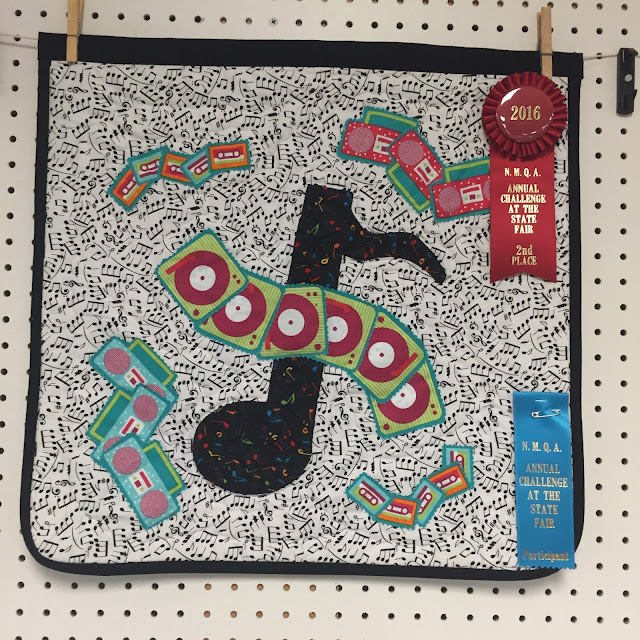 Fun fabric to use for a challenge--I can see some quilters were literal, and some were more inventive. Love that first place quilt! That is so cool! 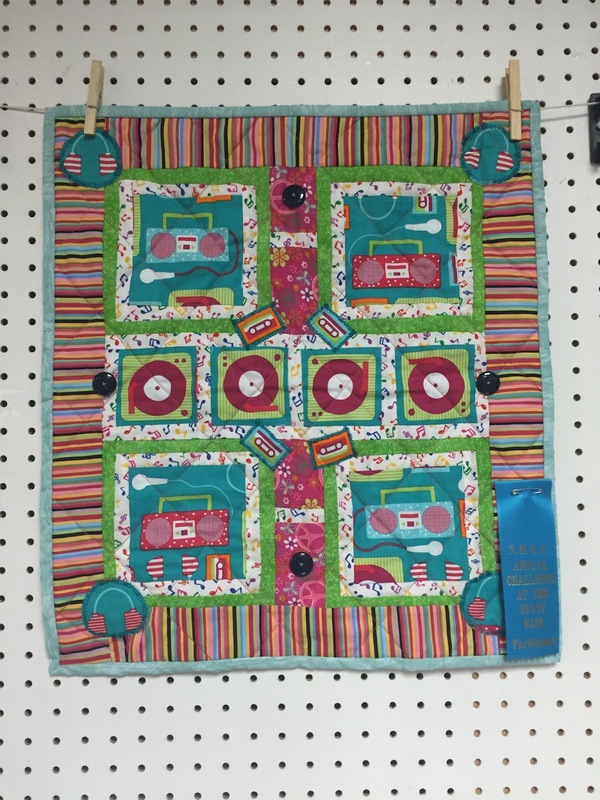 I just dropped my quilts off to our county fair which opens on Saturday! 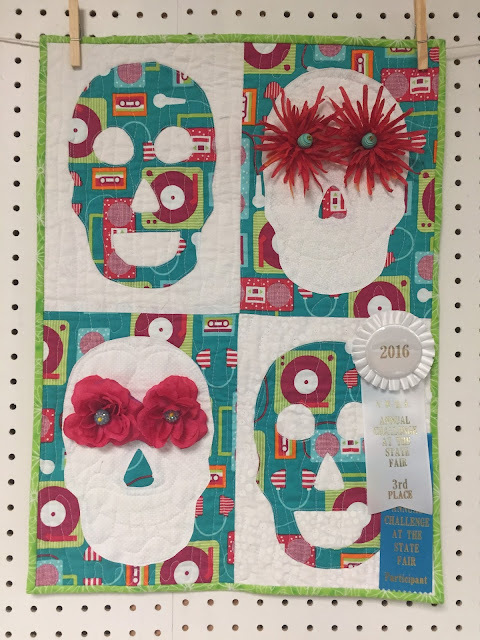 I am excited to see how my quilts did this year. Very creative. My favorite is the one with the butterfly and birds.